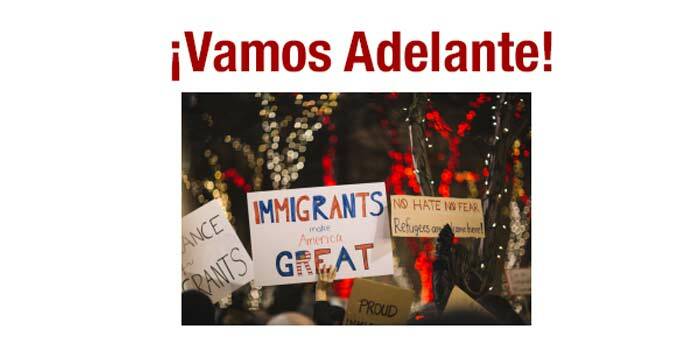 The purpose of ¡Vamos Adelante! is to provide support for the undocumented citizens of Boulder County, Colorado. Risks due to lack of health insurance coverage, driving without a license, etc. In our estimation, the undocumented immigrant population of Boulder County is in urgent need of the following support: (1) proper legal education and advice on immigrant rights; (2) protection for undocumented children, as well as children of undocumented parents; and (3) access to psychological and emotional support for any and all undocumented immigrants and their families dealing with concerns for their safety. Currently, we are exploring strategies for building a roster of professionals who can provide the necessary support to this community. Español: El propósito del proyecto, ¡Vamos Adelante! es dar apoyo a la comunidad de personas indocumentadas en el Condado de Boulder, Colorado. Esto se alcanzará a través conectando la comunidad indocumentada con recursos educativos, psicológicos y legales, los cuáles son necesarios. Para más información, favor de contactar a Josué Romualdo.